To spend time in peace and quiet on the countryside of Småland is a luxury and something that we, as well as our guests appreciate very much. Sometimes you need a little help to get even closer to the nature or why not see the most Swedish of wildlife and culture. 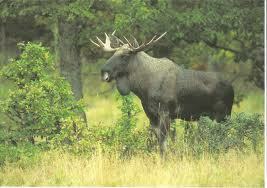 One of the most known Swedish animals is the moose. Ofcourse it is hidden in our forrests, but seeing this magnificent creature in it´s wild is rare. To be sure to meet mooses there are a number of mooseparks not far from Grönskog where you can experience the moose up close. Småland is, beside it´s beutiful nature, well known for its glaswork. In the "Kingdom of Chrystal", Glasriket, handblown glass has been made since 1742. See how the designers constantly develope the opportunities with this fantastic material. 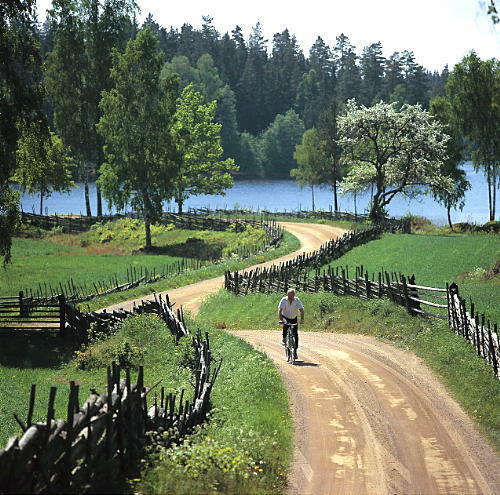 When you want to see old genuine farmingenviroment of Småland, you should see Stensjö by. 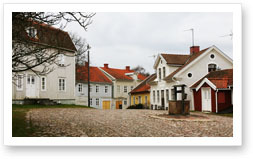 The village is a popular destination with attractive hikingtrails conected to the Ostkustleden. Bring picnic and make a visit! Why not try to make a bargain while being on vacation? In Ädelfors you have the opportunity to find real gold. Strax utanför Oskarshamns kustlinje ligger den mytomspunna ön Blå jungfrun. Naturen är storslagen med fina släta granitklippor och med en växtlighet som präglas av mångfald. 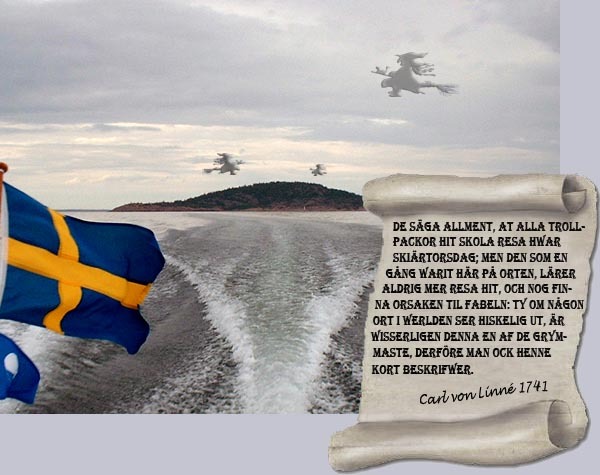 Ön har alltid varit förknippad med mystik och det sägs att det är till denna ö, också kallad Blåkulla, som häxorna beger sig i påsktider. 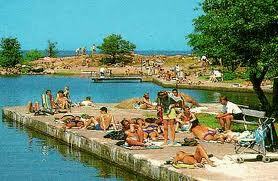 If you want to travel back in time and experience true 19th century enviroment you should go to Pataholm. This pastoral place by the coastline is perfect for a coffeebreak for people with a cultural interest. At the farm we are used to and enjoy a swim in the dark waters of our lake, but sometimes you want to enjoy a common bathingplace. This is an example of beaches not far from us when the sun is at it´s peak.